Legends Day, the biennial, Clinton Public Hospital Foundation Fundraiser is set for Sunday, June 23. Featuring hall of fame harness driver's from across the continent, this years fundraising goal is $100,000 and will be achieved through a variety of events prior to, and during the event. "Each time we hold the event, we attempt to make it bigger and better than the last." states Marketing Manager, Jessica Carnochan. Additionally, the track will once again host the Day at the Races Fundraising program and all 15 dates have been filled with local groups, clubs and organizations. 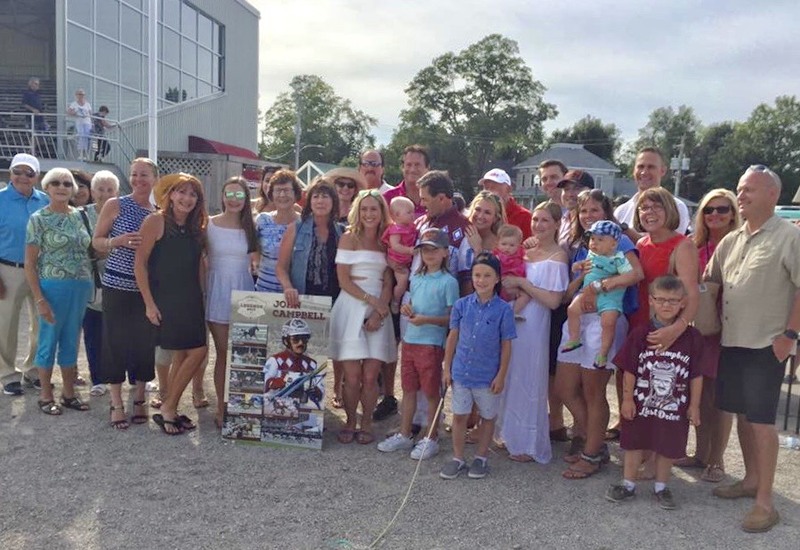 Clinton Raceway's richest race, the Kin Pace Final is set for Sunday July 7 and the Vic Hayter Memorial Trot returns July 21, for the third time as a fundraiser for the Stratford Perth Humane Society and the Ontario Standardbred Adoption Society. Ontario Sires Stakes will make three appearances during the season, Kids Day returns with the ever popular Wiener Dog Races in late August and the season closes with the 39th Annual Charity Driver's Challenge on Sunday, September 1.